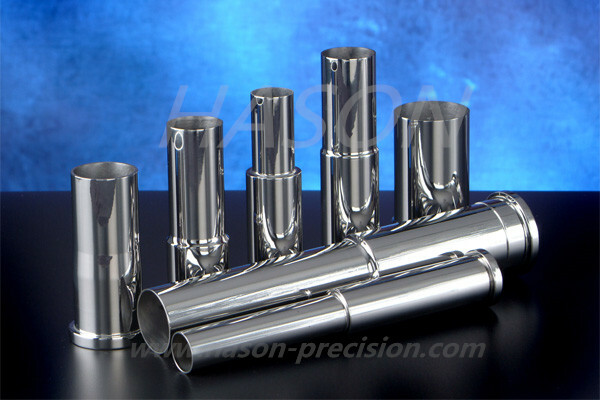 Custom order ejector sleeves ranging from straight, step, multiple step, or thin walled sleeves. Nitrided H-13 with either a 30 R/C or 50 R/C and being the most commonly used steel in ejection molding. However other materials such as: A-2, A-10, D-2, M-2, S-7, 440, and 420 stainless steels as well as Copper alloys including, but not limited to, Ampcoloy and Mold Max. Custom Sleeves can be manufactured to a working hardness designed to your application. We also offer a variety of surface treatments such as Nitride, Titanium Nitride, WS-2, and Armorloy to name a few. Sleeves ranging from under 1 inch long to 24 inches long are available. Inside and Outside Diameters are ground concentric to ensure proper alignment.